Kadri, number 43, scores! 2017. In the autumn of 1967, I reported for Peace Corps training to a migrant labor camp in Hemet, California. The year had been eventful. I had graduated from college. I had visited Expo 67, the World’s Fair in Montreal. I had worked for two Peace Corps training programs in la Pocatière. I had hiked in the Canadian Rockies. I had witnessed Charles DeGaulle address to a Quebec crowd shouting “Vive le Québec libre.” And I had listened to Foster Hewitt on Hockey Night in Canada as the Toronto Maple Leafs won their fourth Stanley Cup of the decade. Living along the US-Canadian border for much of my life, I also had an academic interest in Canada. I didn’t play hockey, and, in fact, could barely skate, but I followed the game closely through the Toronto Globe and Mail, for which I had a subscription. In 1967, there were only six teams in the National Hockey League, though the league was on the verge of expansion. Almost all the players were Canadians. Tonight Liz and I tuned into the Maple Leaf game. From our home, we can receive it clearly over the air. 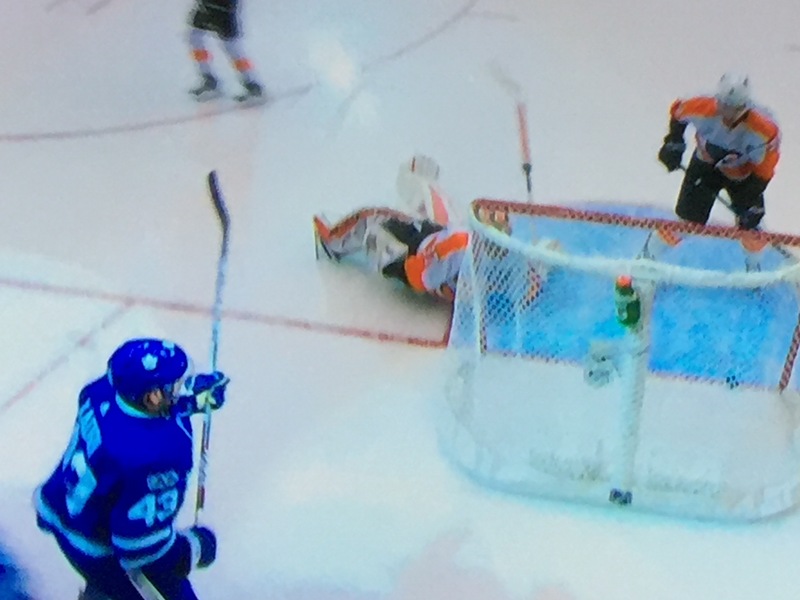 I had been thinking about writing about the Muslim players in the NHL, and took a screen shot just as Nazem Kadri scored against Philadelphia. Kadri is one of two Muslim players in the NHL. He is a a native of London, Ontario, not too far from here. His father was born in Lebanon and emigrated to Canada where Nazem was born. If you had suggested to me while I lived in Sefrou that I would be watching Muslim hockey players playing professional hockey, I think I would have been sceptical. When the Leafs won their last Cup, I believe that the entire team was made up of Canadian players. Today, of the twenty-three players on the roster, six are European and five are American , including their franchise player, Auston Matthews, from, of all places, Arizona. Kadri is an elite player. He scored twice in tonight’s game, and he is one of the reasons the Leafs may finally get another chance at the Stanley Cup in the coming years. He practices his faith, and keeps the Ramadan fast as best he can, not an easy thing for a sports professional. I don’t expect a Moroccan hockey star soon, but fifty years ago I didn’t expect Muslims in the NHL either.